I had junior high school teachers who were intellectual and had a passion for their subject. Those great teachers helped me to develop a passion for learning and a respect for hard work that remains with me to this day. At Paul Junior High School in Washington DC, intellectual excellence was the norm and it was celebrated. There was no cooperative learning, fake self esteem, differentiated instruction or ten pound textbooks loaded with pictures and useless content. I decided to become a math teacher during my last year of junior high school because I knew that I wanted to return some day to continue the fun, the learning, and the celebration of excellence that I experienced in seventh, eighth, and ninth grades. After attending the University of Maryland in the early nineteen seventies, I accepted a math teaching position at Hayfield Secondary School in Fairfax County, Virginia. 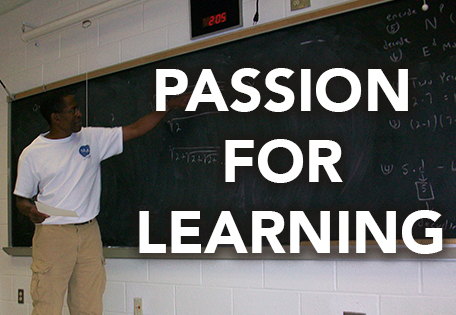 That experience helped to shape my attitude towards teaching math for the next thirty years. Teachers were forced to individualize 150 students using math booklets written for non-readers. Seventh and eighth grade students were put into the same math classes and teachers were told that this program was "cutting edge". I would hear that phrase many times over the next thirty years. I quickly decided to find a school where I was allowed to "teach". After seven great years teaching math at Ellen Glasgow School in Fairfax County, I transferred to H.W. Longfellow Middle School where I remained for over thirty years. At Longfellow, I developed and taught the original Honors Math course to students in the Gifted Talented Center program. I also taught Algebra/Geometry which was a one year course that I developed in which two high school credits were awarded. I also taught an enriched version of Honors Algebra 7 and a special proof based Honors Geometry course enriched with AMC/AIME/USAMO level problem solving. At present I teach Algebra 1, Algebra 2, and Precalculus at BASIS Independent Mclean located in the Tysons Corner area. I am thrilled to be part of a school where academic excellence and personal responsibility are celebrated.